Hello, hello! 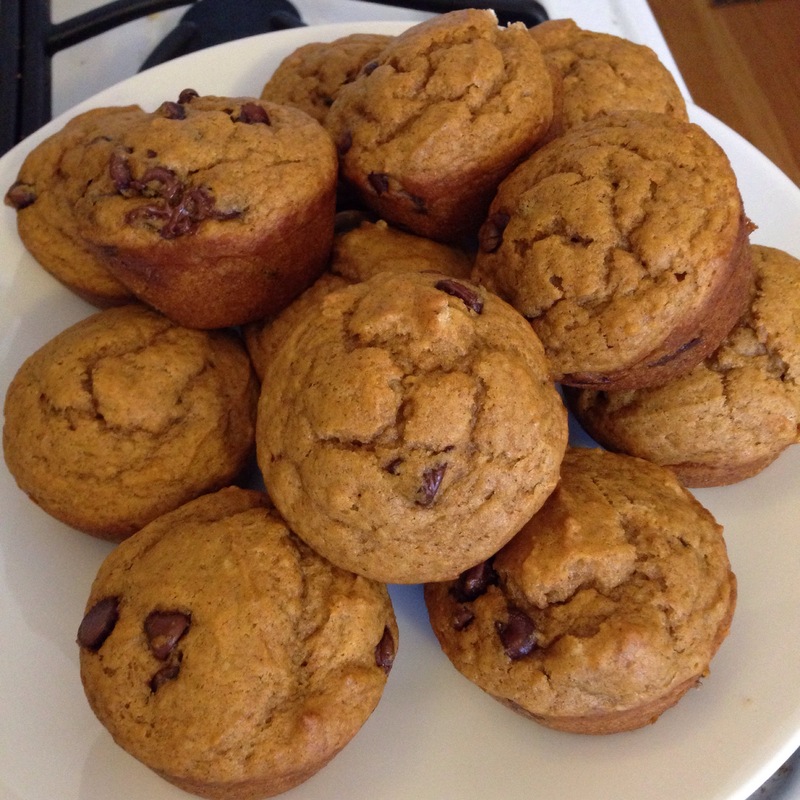 I realize my space here has been mighty quiet, but now that the first fall Saturday is here, I’m feeling all nostalgic and can’t resist popping by to share again my family’s tradition for fall Saturdays: chocolate chip pumpkin muffins. I’ve written about these numerous times over the years and have posted my boys’ favorite recipe multiple times, too, but I can’t resist sharing again. My boys are 13 years old now (13!! How?! 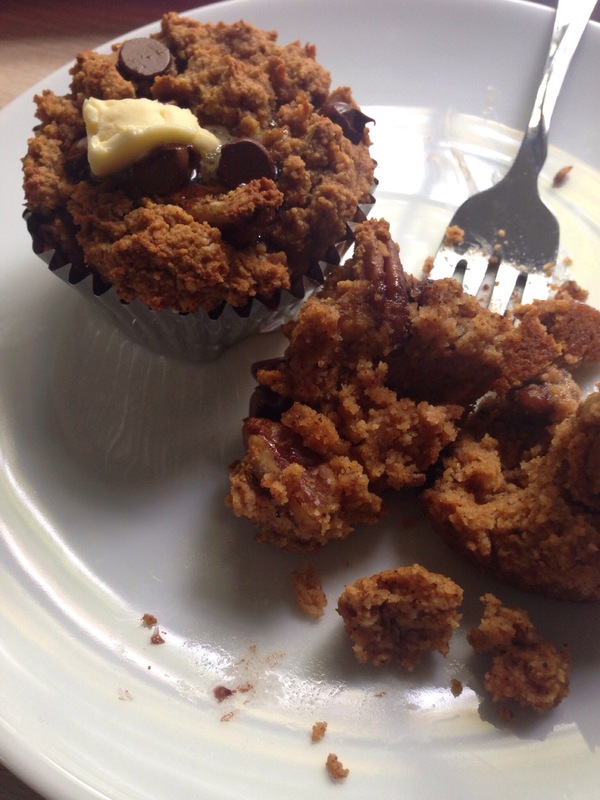 ), and they still insist that Saturdays in the fall must start with these muffins. The only difference is that now, one of my sons will sometimes make them himself. But the first Saturday of the season, it is my job and I treasure it. It’s been three years since I wrote about these little gems, and I thought I’d share that original post again. This post includes not only the vegan version that my boys have loved for the past decade, but also a paleo version I sometimes make as well. How about you? Do you have any favorite fall traditions? They’re so good and easy! Hope you give them a try! Thank you! They’re so easy to make (and to eat!). Thanks for the recipe. I will be trying it for my gluten-intolerant daughter. And I will be on the lookout for the flour you recommended. I highly recommend the superfine almond flour. I use it all the time now, and it really does make great baked goods!